Here's a real quick video tribute to the beauty and majesty of the Big Horn Mountains in Wyoming. 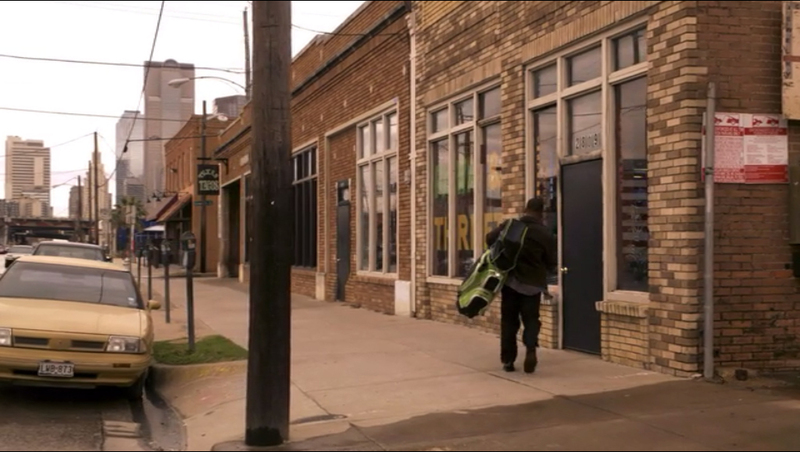 He visited there earlier in the year during Geo-RoadTrip 2011. 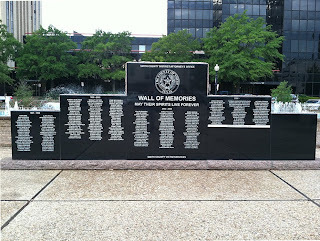 Our buddy Weldon Adams points out one of his favorite statues in Fair Park in Dallas. 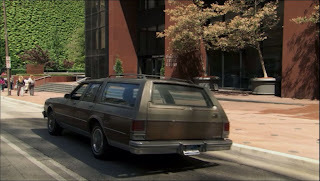 It's time, once again, to hit the streets and find the physical locations where our favorite TV shows and movies were shot. 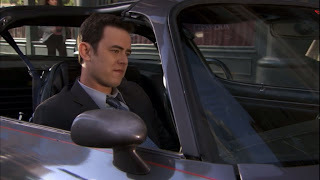 We're going to do another episode of the short lived Fox series "The Good Guys" (I told you there would be several of these). 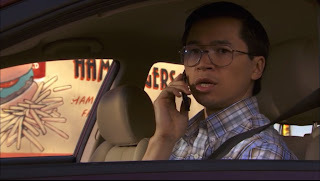 In episode #4 "the Dim Knight," an out of town chemical supplier (who sells to meth labs) stops to grab a hamburger while his beleaguered translator talks on the phone. 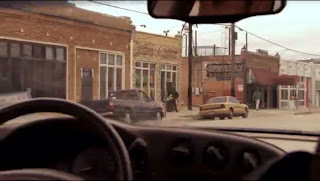 The real location for this scene is Mr. Charlies Hamburgers on Good Latimer & Hickory in Dallas. This is not far from the Deep Ellum shooting location we mentioned earlier. Normally I'd give a recommendation from the menu but even though I've driven past it several times I've never actually eaten there. 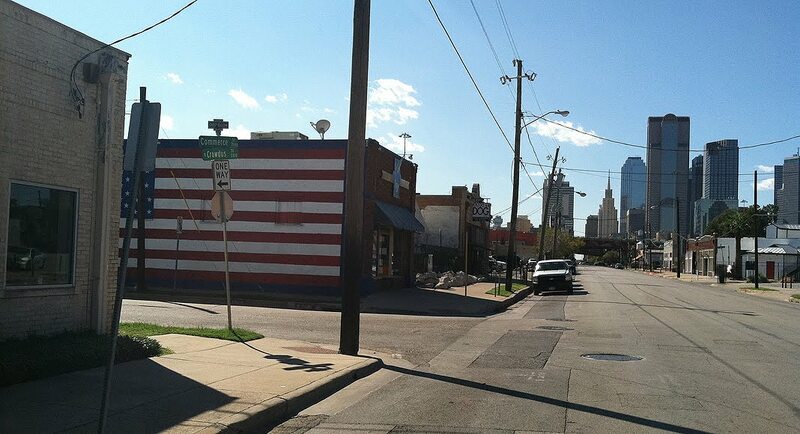 But any place with a giant cartoon hamburger painted on the side of the building has GOT to be good. 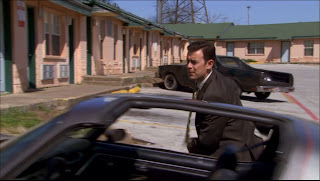 Later our heroes Jack and Dan track a suspect to a sleazy motel. 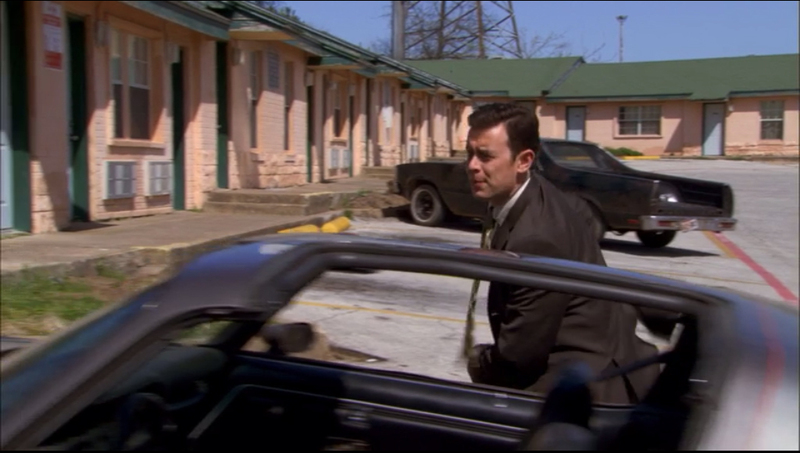 The real location for this scene is in fact, a real life sleazy motel! 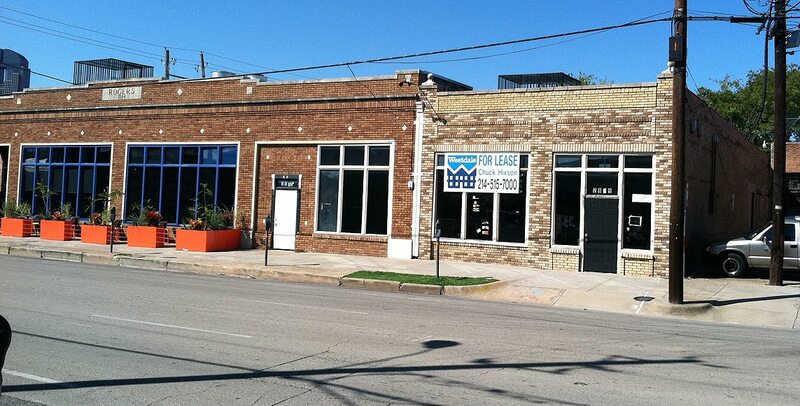 It's off of I-35 at Overton just south of downtown Dallas. I had always assumed that this place had been shut down for years but when I stopped by there was a maid cleaning the rooms. 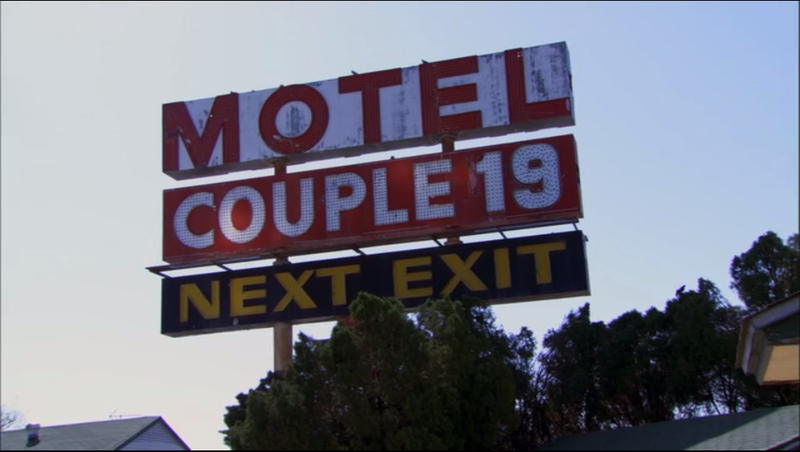 The iconic sign is easy to spot from the highway and made a great backdrop for the scene. 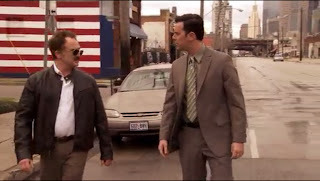 In the episode the boys find a guy trying to cook meth in one of the rooms. I didn't knock on any doors because it looked like a place where people would cook meth. 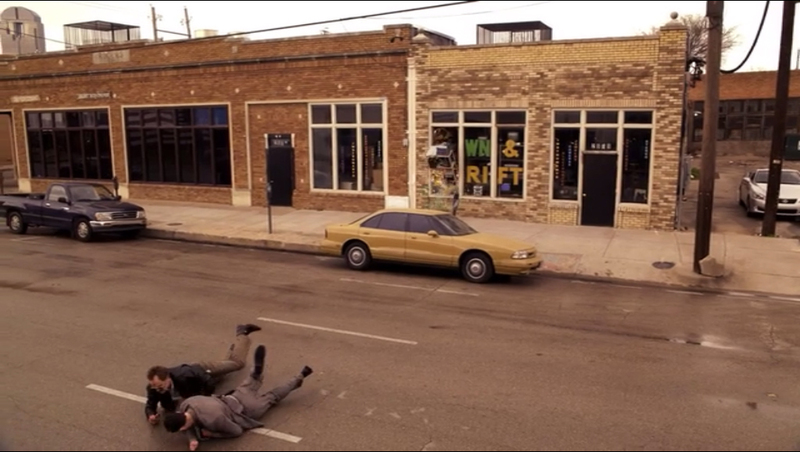 So great job to the location scouts who picked it! 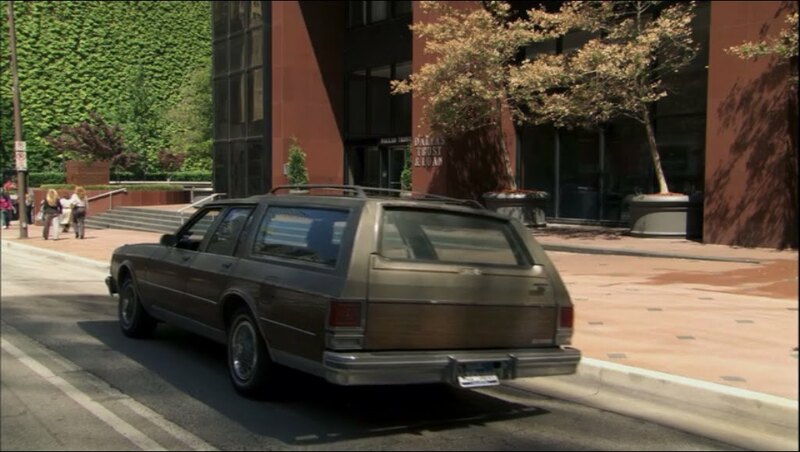 Tune in next time for some more interesting locations in your own backyard! Devin takes a behind-the-scenes tour of Rangers Ballpark in Arlington, home of the Texas Rangers! 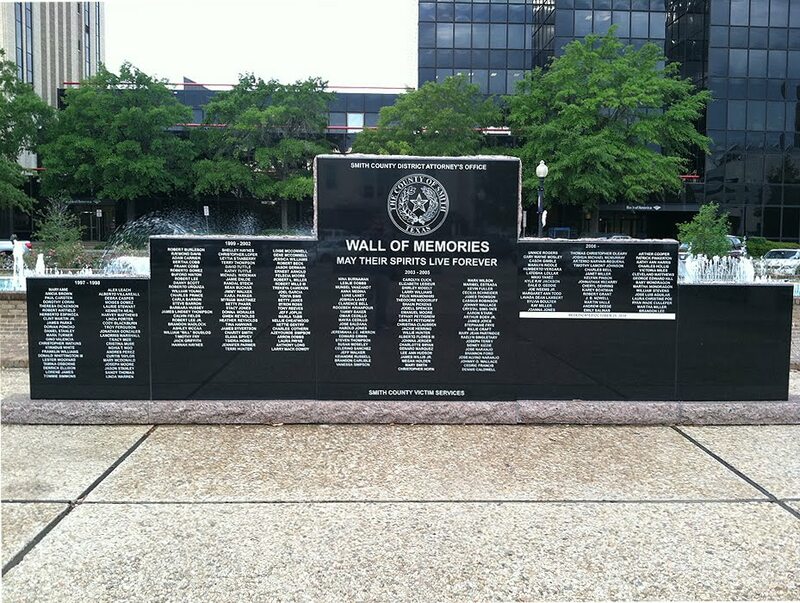 There's a ton of history at the Texas Rangers Hall of Fame & Museum in Waco. 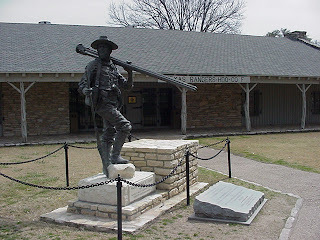 Outside you'll find monuments like this one to George Erath a former Ranger and one of the orignal surveyors of the area. 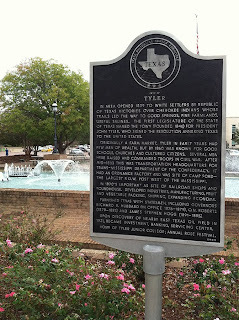 You'll also find this Historical Marker which brings us to today's "Marking Time." 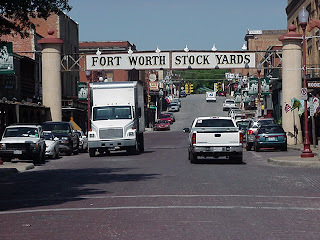 Before 1875 in Texas, cattle roamed over thousands of acres of public land, and free grazing became a tradition. After 1875, however, an increasing farm populace tended to protect crops and other property with barbed wire fences which were resented by stockraisers. 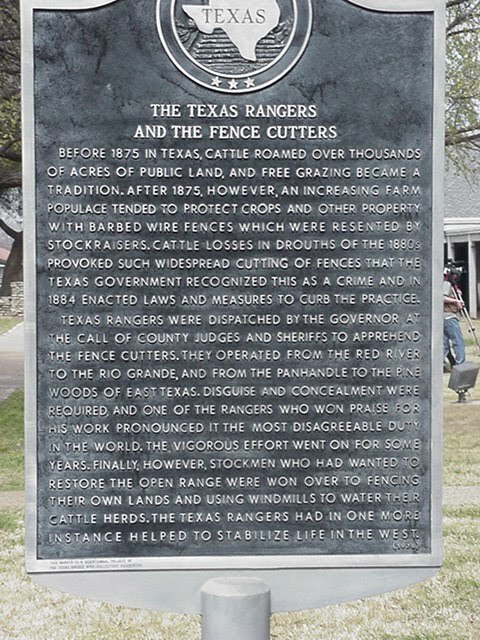 Cattle losses in drouths of the 1880s provoked such widespread cutting of fences that the Texas government recognized this as a crime and in 1884 enacted laws and measures to curb the practice. 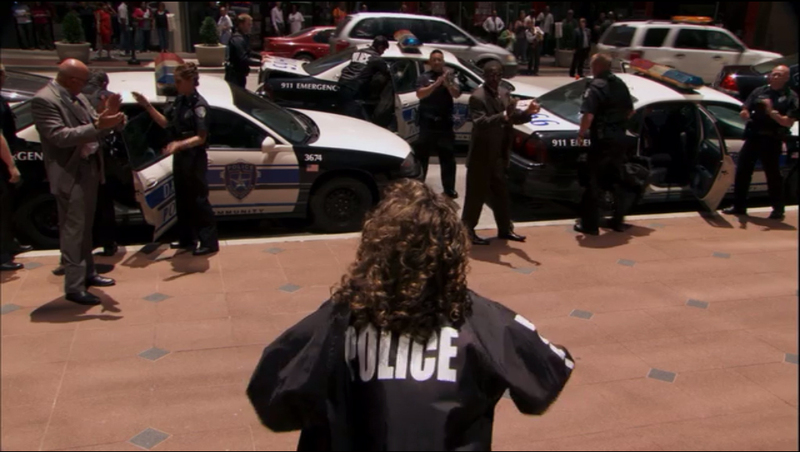 Texas Rangers were dispatched by the Governor at the call of County Judges and Sheriffs to apprehend the fence cutters. 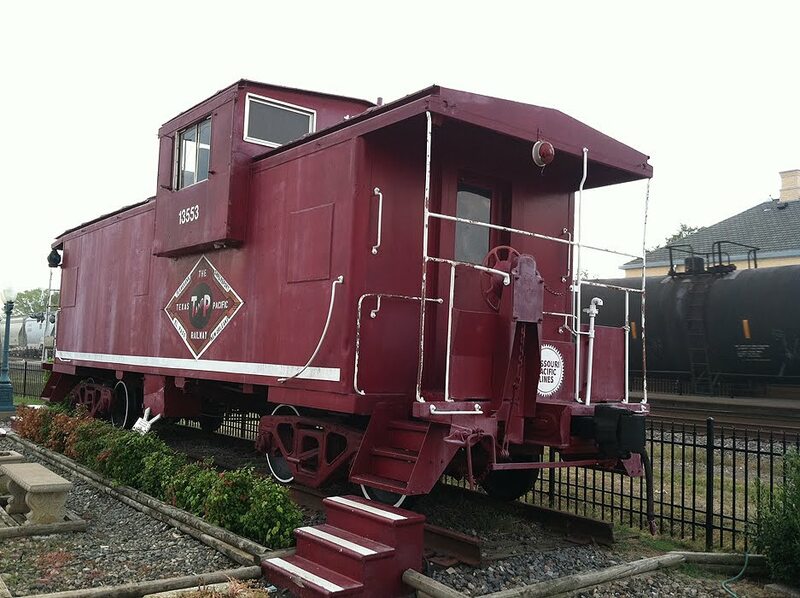 They operated from the Red River to the Rio Grande, and from the Panhandle to the Pine Woods of East Texas. Disguise and concealment were required, and one of the Rangers who won praise for his work pronounced it the most disagreeable duty in the world. The vigorous effort went on for some years. Finally, however, stockmen who had wanted to restore the open range were won over to fencing their own lands and using windmills to water their cattle herds. 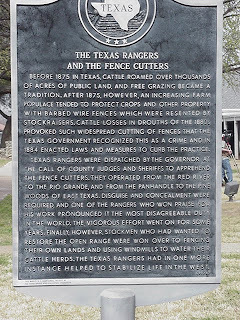 The Texas Rangers had in one more instance helped to stabilize life in the West. 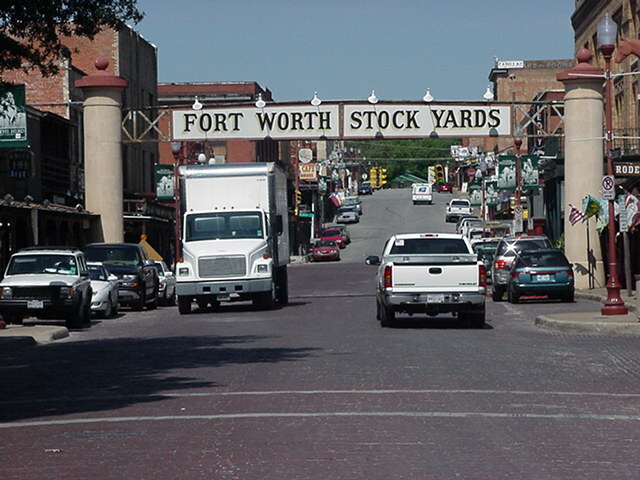 Spanning Exchange Avenue, this gateway to the Fort Worth Stock Yards was completed in 1910. 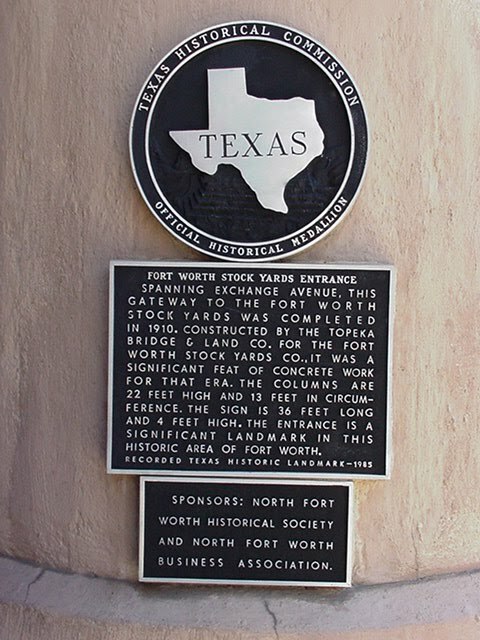 Constructed by the Topeka Bridge & Land Co. for the Fort Worth Stock Yards Co., it was a significant feat of concrete work for that era. The columns are 22 feet high and 13 feet in circumference. 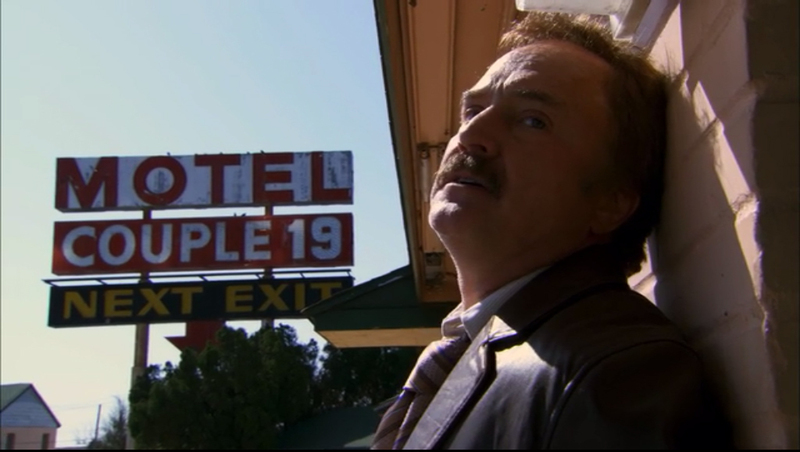 The sign is 36 feet long and 4 feet high. The entrance is a significant landmark in this historic area of Fort Worth. 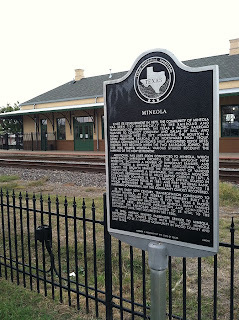 Recorded Texas Historic Landmark-1985. 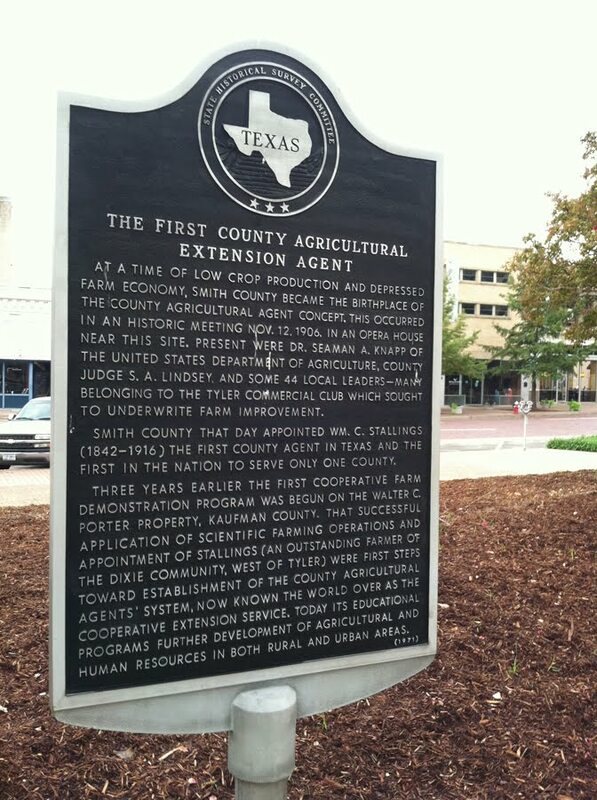 "County seat, Eastland County. 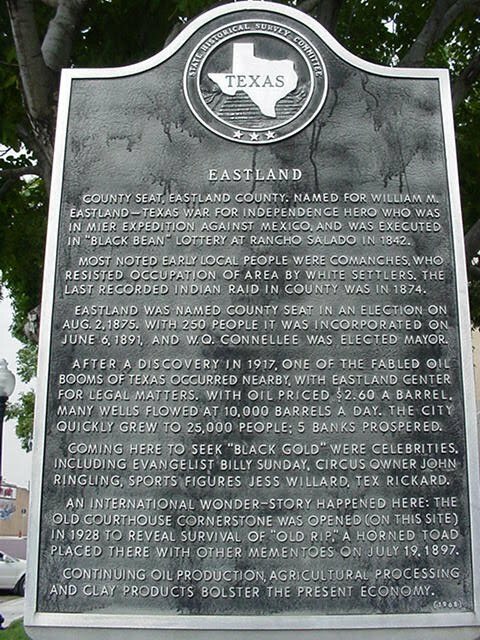 Named for William M. Eastland--Texas War for Independence hero who was in Mier Expedition against Mexico, and was executed in "Black Bean" lottery at Rancho Salado in 1842. Most noted early local people were Comanches, who resisted occupation of area by white settlers. The last recorded Indian raid in county was in 1874. 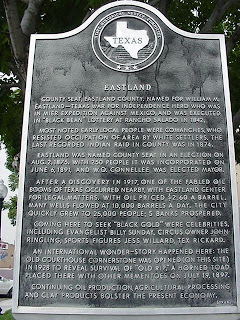 Eastland was named county seat in an election on Aug. 2, 1875. 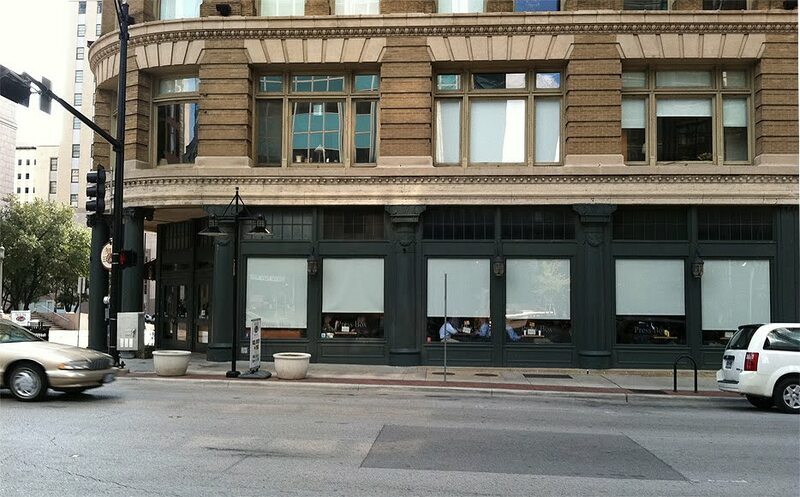 With 250 people it was incorporated on June 6, 1891, and W.Q. Connellee was elected as mayor. 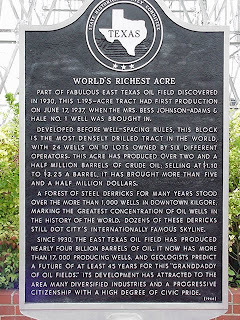 After a discovery in 1917, one of the fabled oil booms of Texas occurred nearby, with Eastland center for legal matters. With oil priced $2.60 a barrel, many wells flowed at 10,000 barrels a day. 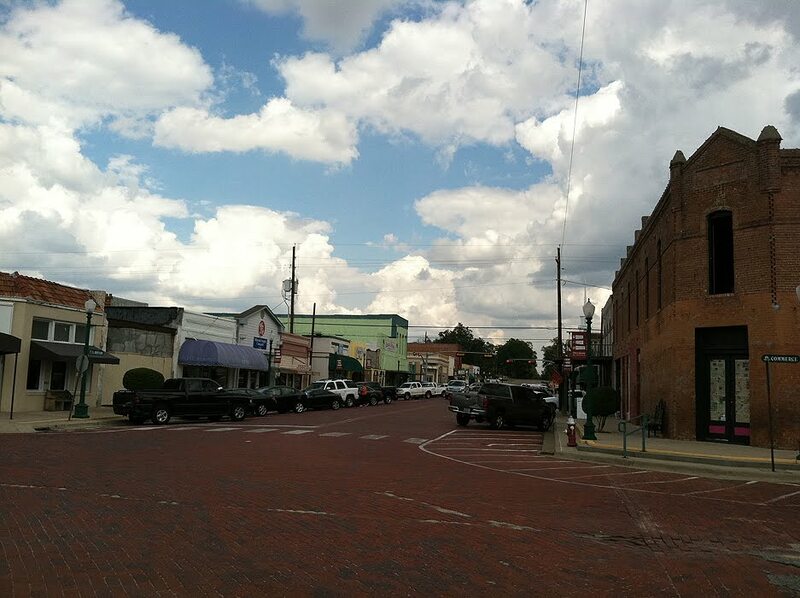 The city quickly grew to 25,000 people; 5 banks prospered. Coming here to seek "black gold" were celebrities, including evangelist Billy Sunday, circus owner John Ringling, sports figures Jess Willard, Tex Rickard. 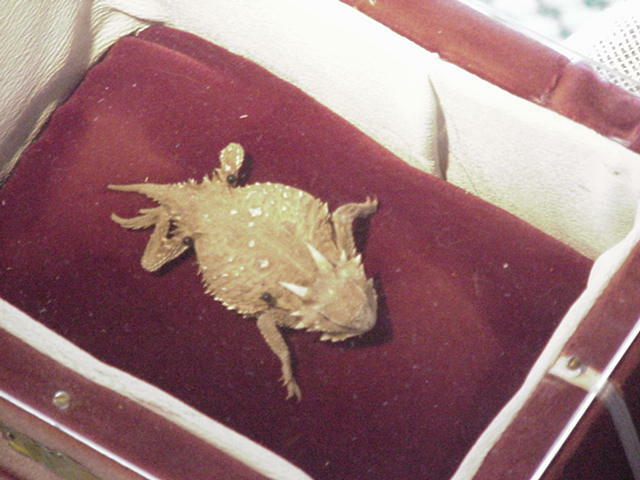 An international wonder-story happened here: the old courthouse cornerstone was opened (on this site) in 1928 to reveal survival of "Old Rip", a horned toad placed there with other mementoes on July 19, 1897. Continuing oil production, agricultural processing and clay products bolster the present economy. " 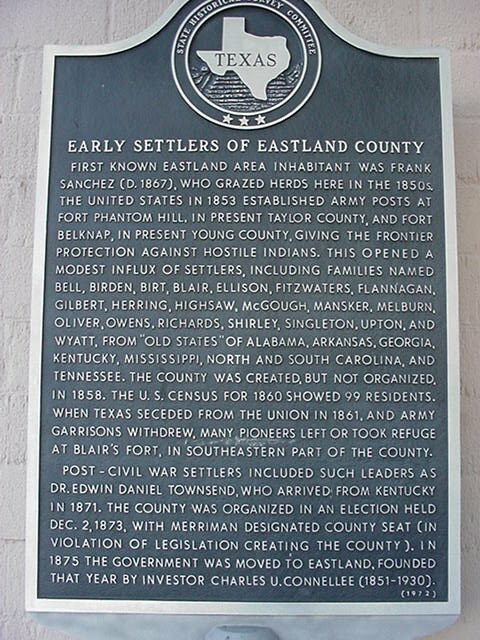 "First known Eastland area inhabitant was Frank Sanchez (d. 1867), who grazed herds here in the 1850s. The United States in 1853 established Army posts at Fort Phantom Hill, in present Taylor County, and Fort Belknap, in present Young County, giving the frontier protection against hostile Indians. This opened a modest influx of settlers, including families named Bell, Birden, Birt, Blair, Ellison, Fitzwaters, Flannagan, Gilbert, Herring, Highsaw, McGough, Mansker, Melburn, Oliver, Owens, Richards, Shirley, Singleton, Upton, and Wyatt, from "old states" of Alabama, Arkansas, Georgia, Kentucky, Mississippi, North and South Carolina, and Tennessee. The county was created, but not organized, in 1858. The U.S. Census for 1860 showed 99 residents. When Texas seceded from the Union in 1861, and Army garrisons withdrew, many pioneers left or took refuge at Blair's Fort, in southeastern part of the county. Post-Civil War settlers included such leaders as Dr. Edwin Daniel Townsend, who arrived from Kentucky in 1871. 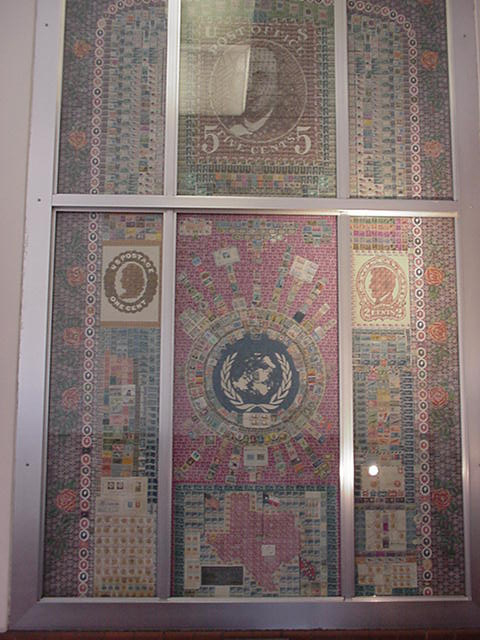 The county was organized in an election held Dec. 2, 1873, with Merriman designated county seat (in violation of legislation creating the county). 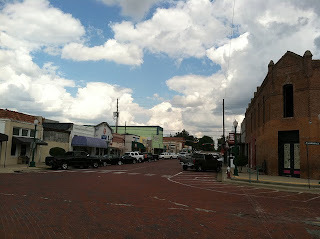 In 1875 the government was moved to Eastland, founded that year by investor Charles U. Connellee (1851-1930)." 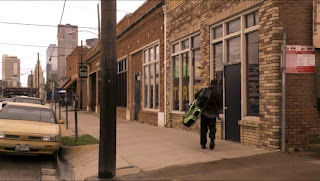 Old Rip is a local legend and his coffin resides in the Eastland County Courthouse where people come from all over the world to pay their respects. (He was also the subject of one of our documentaries). Today's "Marking Time" entry takes us to downtown Dallas and the former Texas School Book Depository Building, the site of the assassination of JFK. 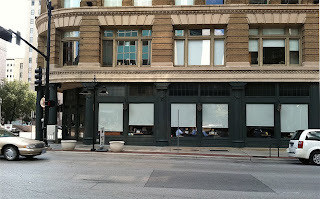 The location now houses the "6th Floor Museum" and chronicle's the life and death of President Kennedy. 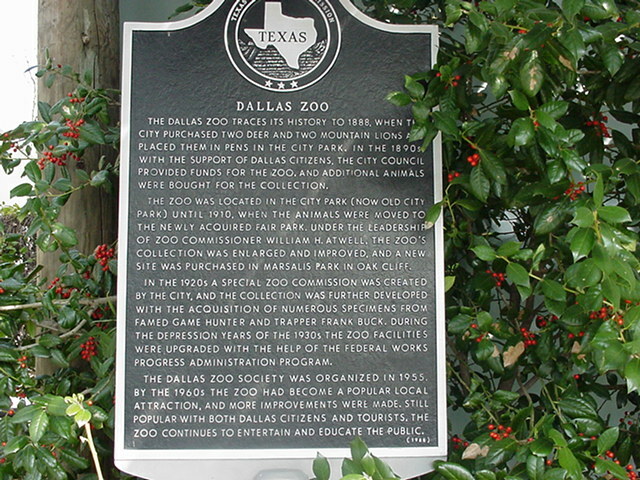 This site was originally owned by John Neely Bryan, the founder of Dallas. 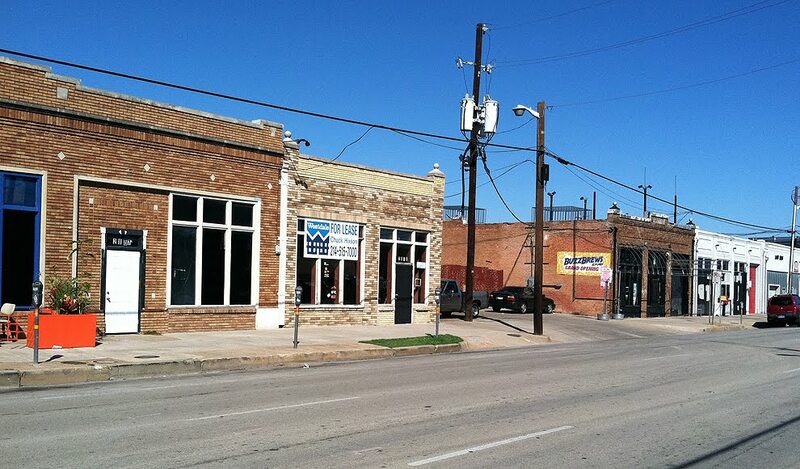 During the 1880s French native Maxime Guillot operated a wagon shop here. 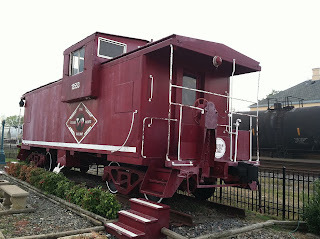 In 1894 the land was purchased by Phil L. Mitchell, president and director of the Rock Island Plow Company of Illinois. 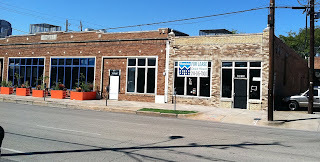 An office building for the firm's Texas division, known as the Southern Rock Island Plow Company, was completed here four years later. In 1901 the five-story structure was destroyed by fire. 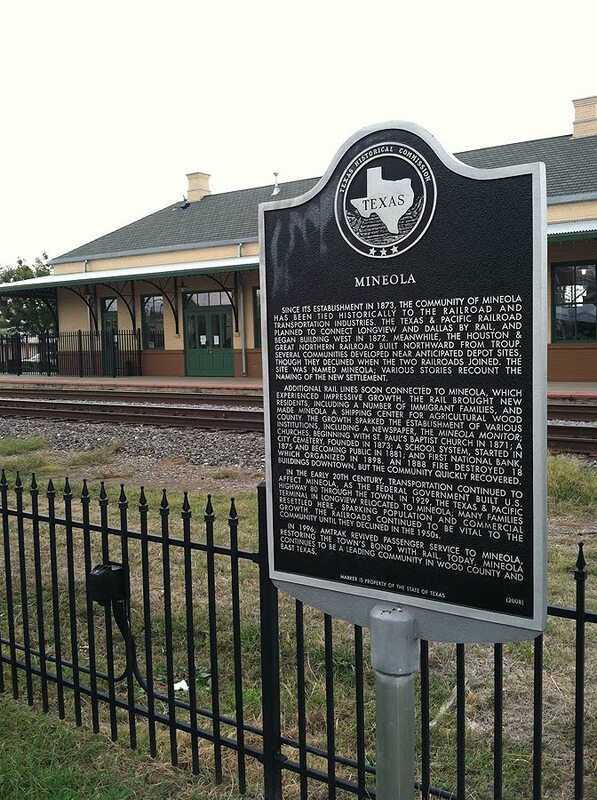 That same year, under supervision of the company vice president and general manager F. B. Jones, work was completed on this structure. 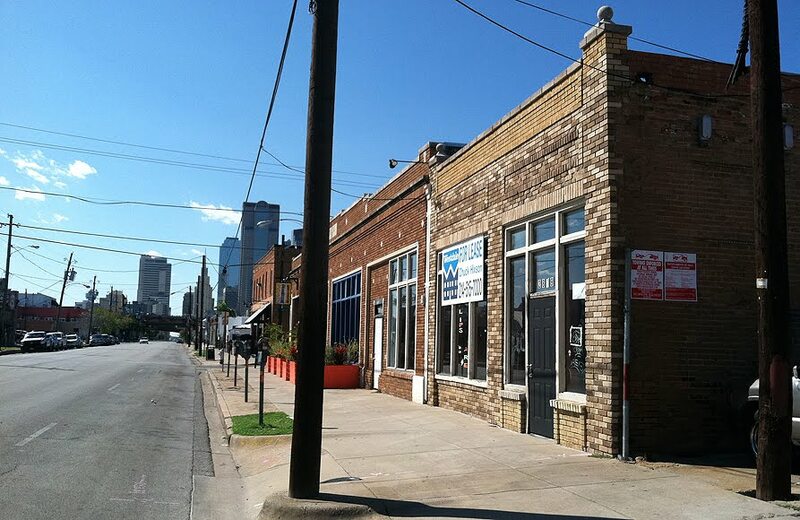 Built to resemble the earlier edifice, it features characteristics of the commercial Romanesque Revival style. 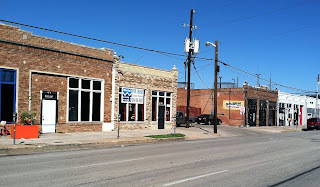 In 1937 the Carraway Byrd Corporation purchased the property. 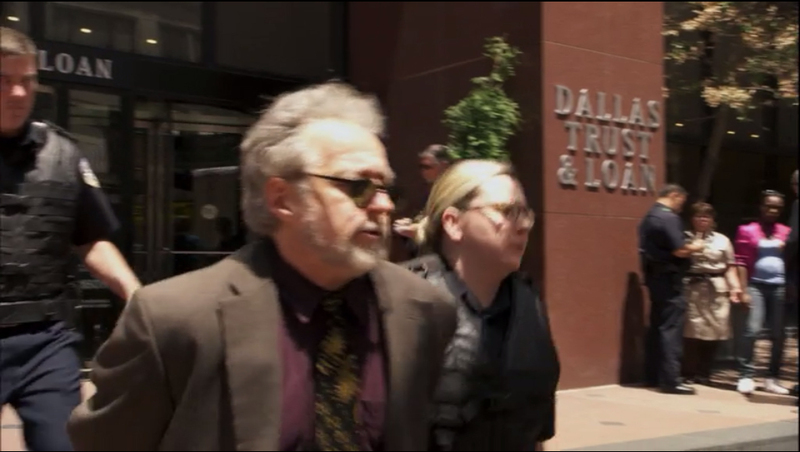 Later, under the direction of D. H. Byrd, the building was leased to a variety of businesses, including the Texas School Book Depository. On November 22, 1963, the building gained national notoriety when Lee Harvey Oswald allegedly shot and killed President John F. Kennedy from a sixth floor window as the presidential motorcade passed the site. 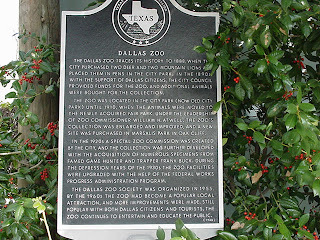 The area is a part of Dealey Plaza and contains a statue of George Dealey, former publisher of the Dallas Morning News. 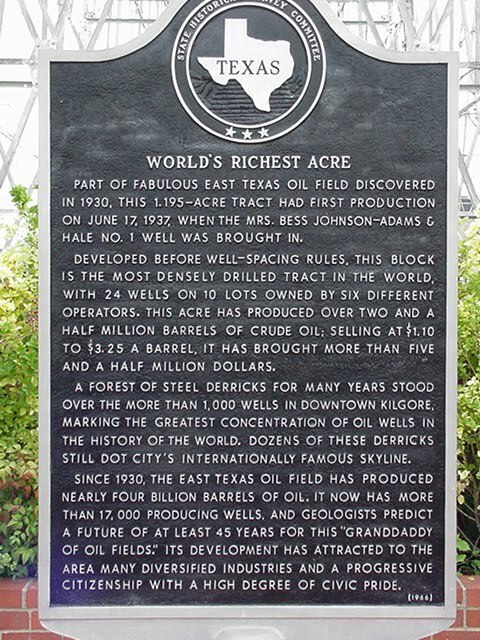 Part of fabulous East Texas oil field discovered in 1930. 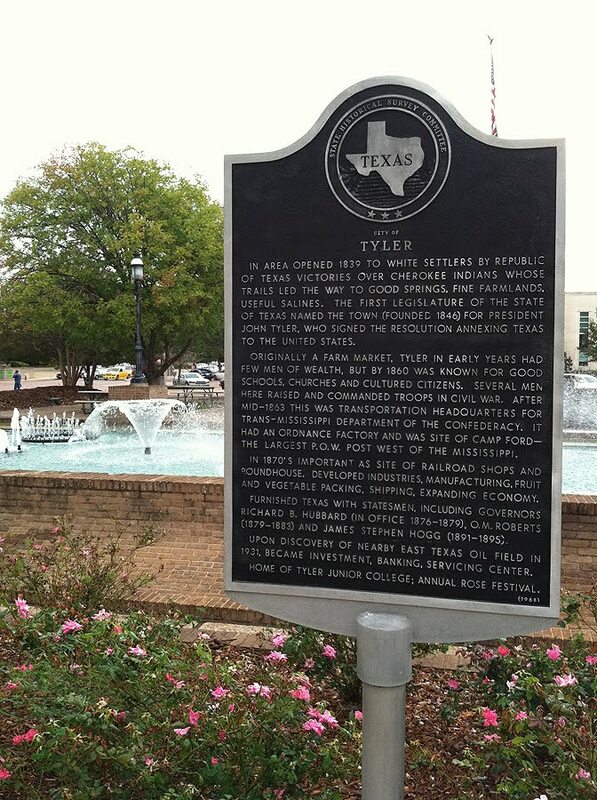 This 1.195-acre tract had first production on June 17, 1937, when the Mrs. Bess Johnson-Adams & Hale No. 1 well was brought in. Developed before well-spacing rules, this block is the most densely drilled tract in the world, with 24 wells on 10 lots owned by six different operators. This acre has produced over two and a half million barrels of crude oil; selling at $1.10 to $3.25 a barrel, it has brought more than five and a half million dollars. 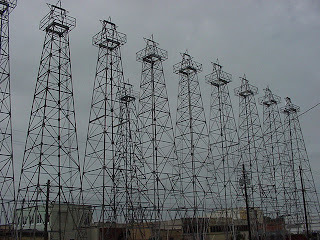 A forest of steel derricks for many years stood over the more than 1,000 wells in downtown Kilgore, marking the greatest concentration of oil wells in the history of the world. 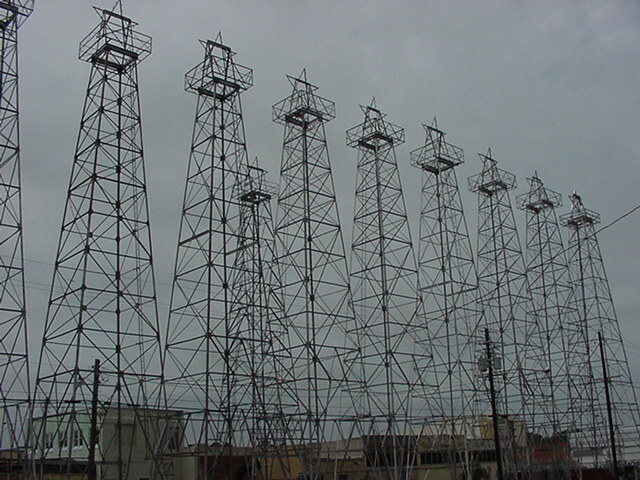 Dozens of these derricks still dot city's internationally famous skyline. 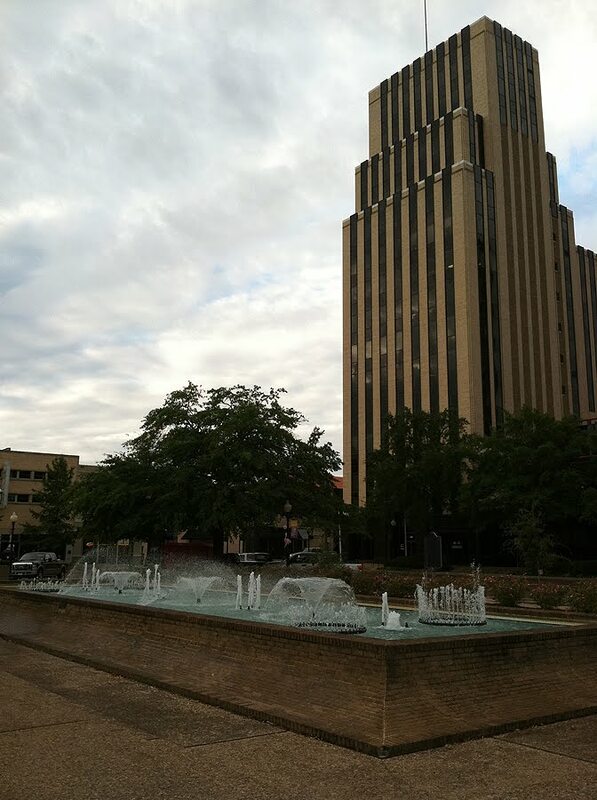 Since 1930, the East Texas oil field has produced nearly four billion barrels of oil. It now has more than 17,000 producing wells, and geologists predict a future of at least 45 years for this "granddaddy of oil fields." Its development has attracted to the area many diversified industries and a progressive citizenship with a high degree of civic pride. Today's Marking Time entry is the pride of Odessa, TX: The World's Largest Jackrabbit! True plains Rabbit. Lives only in the west. Burro-like ears gave him his name. 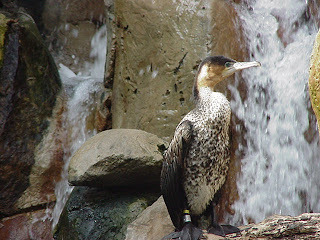 color is protective, blending with sand and dry grass. Very long legs make him a swift runner, clocked at speeds to 45 miles and hour. Object of hunts with Greyhounds. Was prized by plains Indians for food and fur. to white man a reminder of desert-hard life. In drouth and depression, meat source for thousands. 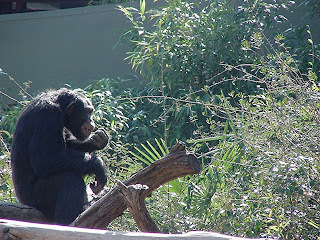 Subject of tall tales. Actual hero of world's only Jackrabbit Rodeo, in Odessa, May 1932. You can see how it maintains it's "World's Largest" status by towering over geologist Devin Dennie.